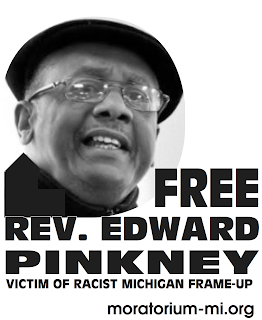 The American Civil Liberties Union of Michigan wants the Court of Appeals to remove what it calls the harsh and unconstitutional bond conditions imposed on Rev Pinkney by the racist Berrien County court. The Michigan Appellate Court in December granted a motion that allows my husband to be free on bond pending his appeal The court of appeals granted my husband’s request to be released on bond because he has strong First Amendment grounds for appeal. He was not a flight risk and he is not a danger to the community said Michael Steinberg Legal Director of Michigan ACLU. The ACLU stated in their news release that Berrien County Judge Dennis Wiley did more than set the amount of the bond. I have always said that Berrien county judges such as Judge Alfred Butzbaugh and Judge Dennis Wiley continue to abuse our Constitution. My husband is under house arrest and cannot exercise his basic constitutional rights. He put my husband on 24 hour house arrest, banned him from giving speeches including in his own church and told him not to engage in any demeaning behavior toward one of the judges. My husband, Rev Pinkney, wrote an article in which he quoted the Bible in the People’s Tribune, a Chicago newspaper, that the judge handling the case, Judge Alfred Butzbaugh, claimed the Bible quote was a threat. He sentenced my husband to 3-10 years in prison. This was an attempt to silence my husband. 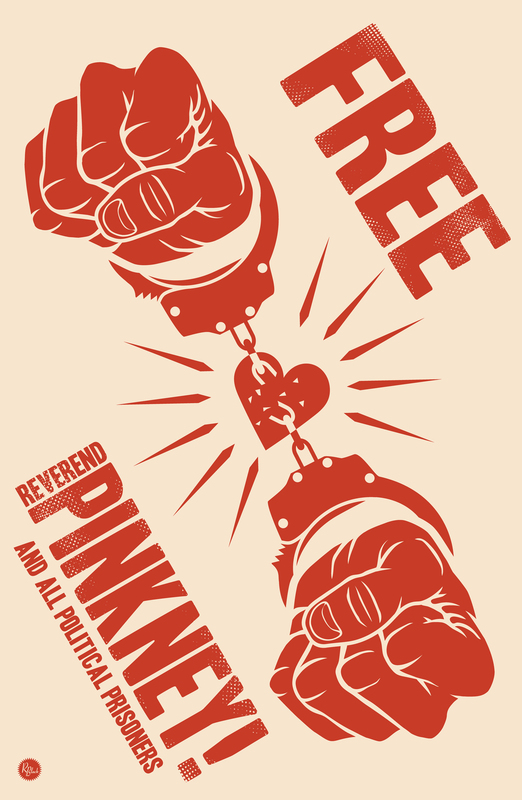 In representing my husband on appeal the ACLU of Michigan argued that Rev Pinkney`s written statements while offensive to many are protected speech under the First Amendment. My husband has grown more and more popular He is an uncompromising advocate of human rights and freedom for all. We the people must fight more relentlessly for justice. We must say no more! There are too many Oscar Grant cases in this country. We the people must act before something happens, only the strong organized, committed and courageous people can stop this genocide. We must stand together so join us today to fight for justice!